3bedroomed apartments for rent in kisasi kyanja road. 3bedroomed 2bathrooms homes for rent in kisasi kyanja road @ 1M ugx. 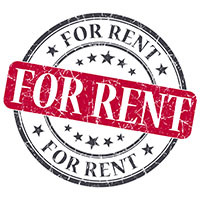 2bedroomed apartment for rent in Nalya. 2bedroomed apartment for rent in Nalya @1.2m ugx monthly. It's spacious, accessible, Cctv Cameras, green garden, big parking. Two bedroom apartment with two bathrooms for rent in kisasi @1million monthly. 3bedroomed apartment for rent in kisasi. Brand new 3bedroomed apartment with 2bathrooms for rent in kisasi 1.3m ugx monthly. 2 bedroom apartments to let at Nalya. Twobedroom house to let at Kyanja. 3 bedroom house for rent at Namugongo for 1.2m Ugx. This is a 2bedroom house to let at Kyanja-kungu. One bedroom house to let at Ntinda, Kyambogo road. Find your best rental property using our search functions of flats and houses available to rent across the UK and Overseas. Our aim is to provide you with the best choices of properties from the finest letting agents. We shall provide you with the best service which gives value for money, with honesty and integrity.